Do you ever have problems with misplacing or misfiling documents in your office? It’s a common problem, and it’s why Record Nations exists! Having an unorganized office creates a lot of problems. It makes it difficult to get anything done- when it takes 15 minutes to try and find a client’s file, you’re losing a lot of the most precious resource in any business- time (and money). That’s where a document management plan can really streamline how you handle your documents. 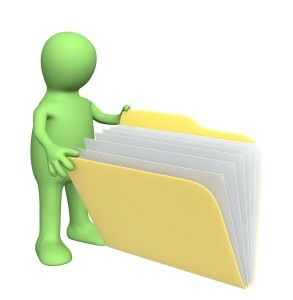 By outlining all your processes and what documents are needed to complete each step. you can determine where you need the most help. Then, you can look into a document management service that will save you time and money, free up office space, and optimize your workflow for the entire office. Every office is different- some offices are converting to a paperless office, where they’ll benefit most from a document scanning and electronic document management system, while larger offices might want to free up office space and store rarely-used files offsite. With the advances in security and usability, cloud services are also becoming a very popular way to share files and back up entire offices. It gives companies a way to always be connected from anywhere or from any device, and offers a low-cost alternative to an on-site network server. If any of these services sound interesting to you, then you’ve come to the right place! Record Nations will connect you to a local provider for any document management service that you need- just fill out the form to the right, or give us a call at (866) 385-3706. Document Scanning– Convert your paper documents to digital through a high-quality, fast, secure document scanning company. Records Storage– Store your files off-site in a secure, climate-controlled storage facility- you’ll still have access to your documents whenever you need it. Cloud Storage– Create flexibility and reduce costs with a cloud storage solution- get access to your documents from anywhere, and eliminate your expensive on-site server. Electronic Document Management System (EDMS)– An electronic document management system optimizes your workflow and increases productivity and security. Record Nations connects you and your company with a service provider in your area that fits the project you’re looking to complete. Click here for our comprehensive line of services. Get Free, No-Hassle Quotes on Document Management Services Today!